1. 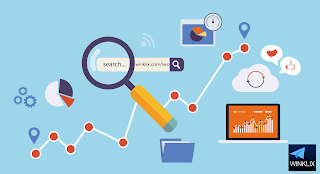 Monitoring On-Page Time: Since content on the website is written with a specific purpose, it is typically directed at increasing visibility for that content, to keeping visitors engaged when they come to the page which has that content, and finally, getting a viewer to take some action once he has read that content. When you come to a web page which does not satisfy your needs or your search requirement, you will leave that page immediately. At the same time, when you do find something you are looking for on a certain page, you are likely to spend much more time reading it to get your answer. So, when you can showcase quality and compelling content, you can get a more engaged audience that is keen to see what you are able to give them. This prolonged engagement translates into higher site rankings and this explains why it is important for you to focus on the time-on-page metric when optimizing your website. 2. Monitoring Usability: This metric is of great value because it helps you to see whether your audience stays back on the website after spending time reading the content. You can monitor the number of visitors remaining on the site by going to the Pages/Session section in Audience Overview of Google Analytics. When you monitor this number, you can take measures to increase it at the time you run your campaigns. When the site is new, this number is likely to be low as traffic is low; with time, you can tweak changes to increase the number by certain measures. Some of the steps you can take are by listing related posts at the bottom to encourage your readers to read another article of use to them or by creating an internal linking strategy so that each post and page has links to other relevant pages. You can also use sidebar widgets for showcasing content to create a call-to-action or introduce exit-intent pop-ups which prompt users to remain on your site for some special offers. When none of these seem to work, it is better to conduct usability tests and check for loading time issues. 3. Monitoring Traffic: Since mobile users are an integral part of any modern business clientele, you need to monitor incoming traffic from devices such as mobiles because the experience of mobile users and desktop users can be dramatically different. Today, mobile-friendliness and loading speeds are considered to be important factors for ranking sites. With more and more people using mobile phones for browsing the Internet, mobile-friendliness is hard to ignore. So, you must monitor mobile user statistics to check for problems with a site’s usability. It is possible to do this by viewing the “Overview” segment of the “Mobile” section under “Audience” in Google Analytics. When you find that differences between desktop and mobile metrics to be profound, you should resolve it immediately. 4. Tracking Conversions: The real aim of SEO campaigns is to ensure that the traffic to your site actually takes some action once they arrive. So, you can set up the Google Analytics to track your goal completions. To set up a goal you can navigate to the “Overview” section under “Goals” in Google Analytics. Here, you must click on a “Set Up Goals” option; you are free to create custom goals with the templates provided. Google Analytics will collect the data which you can view in the Overview section. You can get an estimate on how much the conversions were worth in this section as well when you have assigned some value to the conversion. 5. Monitoring Crawl Data: You can even track the way Google is crawling your site by checking the Google Search Console. You will see that Google “crawls” a site more when your campaigns are more effective at creating relevant links. When you can guarantee better loading time, extended tome on-page, engaging and compelling content and more pages per visit, you will see that Google crawls the site more. You can view the statistics in the “Crawl” segment of this console. There will be three charts showing the number of page that were crawled in a day, number of kilobytes downloaded in a day and time spend for downloading a page. You need to ensure that the number of pages crawled is high, time spent for downloads is low and page loading time is not high. 6. Auditing Campaigns having Return Visitors: While getting new visitors is important, you need to track returning visitors. This will tell you whether your content is capable of bringing the audience back for more. For this, you can check “Overview” option in the “Audience” tab. Alternately, you can click on the “Behavior” tab and view the traffic percentage to the landing pages in Site Content. The numbers for both new and returning visitors should ideally increase if your site has quality content. When the numbers are low, you should reassess the content. 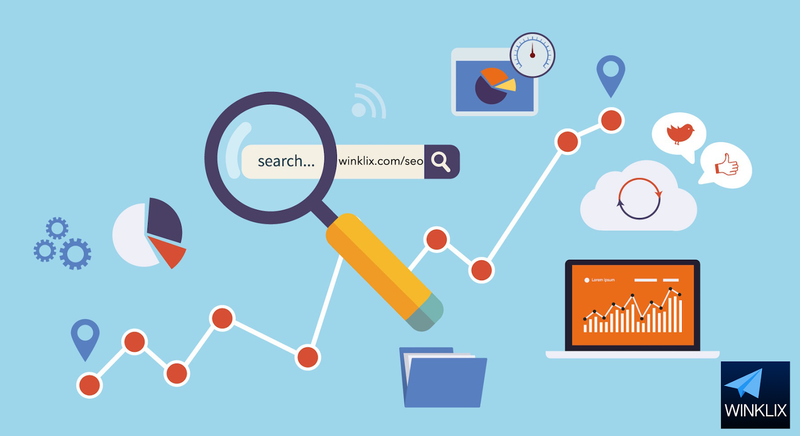 Winklix is one such SEO expert in Delhi,India serving the world with its affordable rates and 3 year + expertise knowledge.